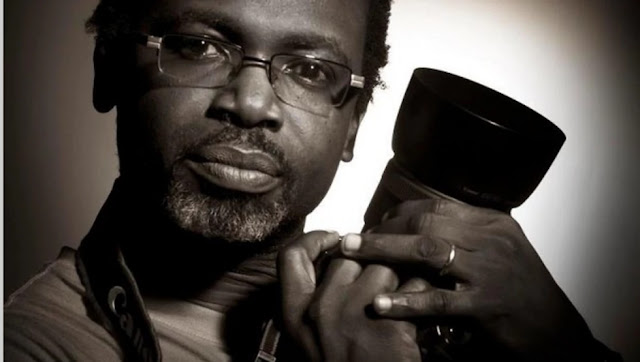 Kelechi Amadi Obi is a Nigerian photographer, painter and publisher, who has been described as one of Nigeria's groundbreaking celebrity photographers. He is the publisher of Style Mania magazine. Amadi-Obi was born in Owerri in 1969. He has a first degree in law from the University of Nigeria, Nsukka. He was called to the Nigerian bar in 1993, but he soon ditched it for a career in studio art. He is internationally renowned for his paintings and photography which have been exhibited in Nigeria and around the world. In 2004, he won the St.Moritz Style Award for Photography. Amadi-Obi has photographed notable Nigerians for local and international publications as well as for Style Mania, a lifestyle magazine he co-founded in 2011 Celebrities and personalities he has photographed include Bassey Ikpi, Oluchi Orlandi, Ojy Okpe, Tuface Idibia, P Square, Omotola Jalade Ekeinde, Nike Oshinowo-Soleye, Jidenna, Genevieve Nnaji, Asa, DBanj, Uche Jumbo, Jay jay Okocha, Richard Mofe-Damijo, among many others. His work have been exhibited at the Lagos Photo Festival, Didi Museum, Rele Art Gallery, and other places. In late 2016, during a photoshoot for hip hop artist Jidenna on Broad Street, Lagos, Amadi-Obi discovered Bukola, who was selling pillows on the streets of Lagos. He immediately showed interest in her as a potential model and scheduled a shoot in his studio. The result were a series of stunning photographs that went viral around Nigeria, turning the former pillow seller into an overnight success in modelling. We are very proud to celebrate this Nigerian star.